I’m lost with face scrub. When I run out of my favorite… St. Ives Apricot, I get grumpy. When I’m without the grainy goodness, I feel as though my face isn’t truly clean and that’s gross. Spring is a time I like to focus on all things homemade and when I ran out of face scrub I decided to make my own. Using only six ingredients from my kitchen, I made a face scrub that leaves my skin feeling squeaky clean, moisturized and protected. Honey – soaks ups impurities from the pores of the skin. Honey contains antibacterial properties and serves as a mild antiseptic which helps fight acne. Honey is also a great moisturizer that protects skin damage and slows aging. Coconut Oil – is a nourishing moisturizer as it contains anti-oxidants and anti-aging properties. Omit if you have acne prone skin as it has a high comedogenicity number. Kosher Salt – helps with exfoliation. Baking Soda – is highly effective at removing dead skin cells without causing excessive irritation. 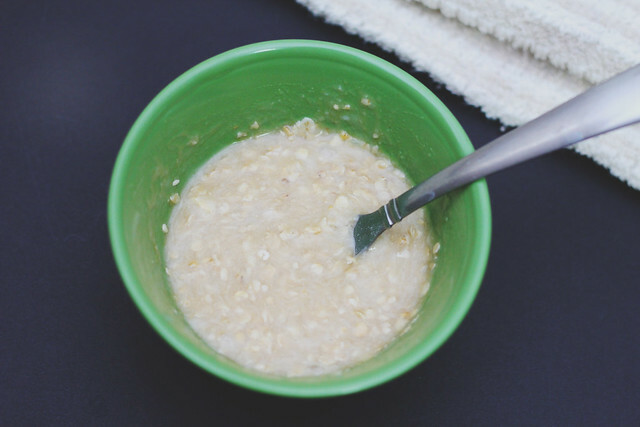 Oatmeal – Oatmeal is a great softening exfoliant. Oatmeal also contains amino acids that help heal blemishes and repair damaged skin. Lemon Juice – helps revive dull, dry skin, remove blackheads as well as lighten blemishes. In a small bowl, mix ingredients together to form a thick paste. Refrigerate in an airtight container. Discard after one week. 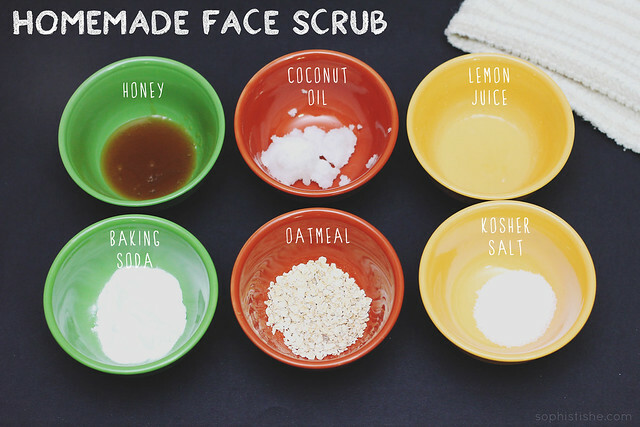 Have you ever used a homemade face scrub? What are some of your favorite ingredients? As a participant in the Walmart Moms Program, I’ve received compensation for my time and efforts in creating this post. All thoughts and opinions are my own. To support my blogging efforts and site expenses, I do share relevant affiliate links in my posts. Thank you for your support. This is the way I shop for coats. I’m really going to have to try this recipe! I don’t ever feel good about using unnatural chemicals on my skin. 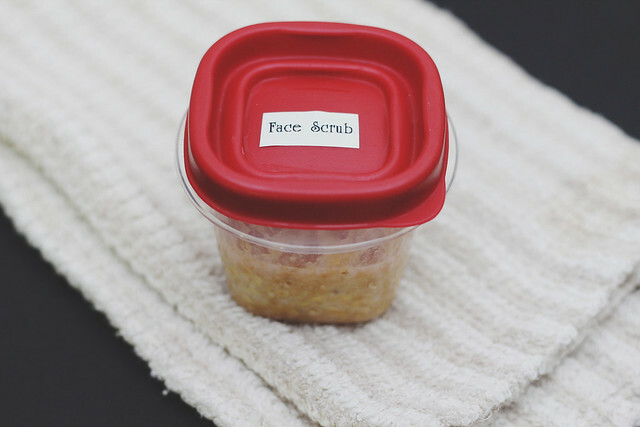 I have seen a lot of “recipes” for face scrub out there but have never actually made one and used it. Now you have me wondering why. I have been using a Neutrogena face wash for a little while and at first I loved it and it made my skin feel great, but now I’m starting to get breakouts and dry skin. I definitely need something new that will clean and moisturize my face, so I think I will have to give this a try. I just love the idea of this natural face scrub. I really need to get down with that coconut oil. I hear so many great things about it. Thanks for sharing! Never miss an IrieMade post! Sign up to receive them via email and receive exclusive sprinkles of inspiration around the web, member-only giveaways, and freebies!